HSBC bank has announced to it’s investors and the media that it will increase the money it has set-aside to pay cover the costs of ppi claims compensation. The amount added is £394 million, which will be added to the £3.3 billion the bank has previously kept as payments for ppi claims. HSBC announced this news during it’s third quarter statement to it’s stock holders. It aslo announced that it had seen a sharp drop to it’s profits, as they slumped to $843 million. Due in large part to staff redundancies activated worldwide and losses from the sale of it’s under-performing Brazilian operations. The nearly £400 million added by HSBC brings the total money set-aside by the banks for PPI to £37.2 billion. 2016 has been the majority of the UK’s banks increasing their PPI provisions. Lloyd’s added £1 billion to it’s bill. Barclays increased it’s provisions by £600 million. Whilst the Royal Bank Of Scotland saw a increase by £469 million and Santander Bank added £30 million to it’s ppi compensation pile. According to express.co.uk, HSBC is also having to deal with another mis-selling scandal. In February the bank agreed to pay a fine to settle US federal and state investigations in relation to the US housing crisis. The bank admitted it used underhand methods against homeowners who found it difficult to pay their mortgages. Seven million people lost their homes in the US as banks foreclosed on families struggling to pay their bills. And HSBC is said to have added to their woes by “robo-signing” thousands of foreclosure documents automatically leading to evictions without reviewing customers’ financial positions. HSBC losses have caused major problems to occur within the banks management structure. 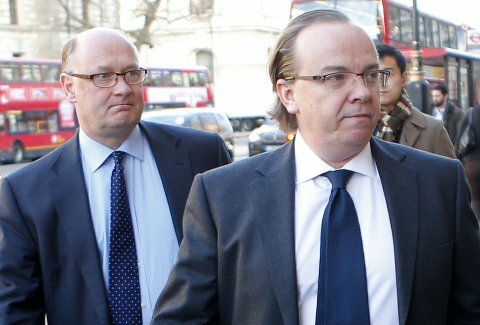 One of the immediate issues facing HSBC, surrounds its future leadership. Douglas Flint, the bank’s long-serving chairman, leaves next year, with Stuart Gulliver, chief executive, going in 2019. Analysts said investors want reassurance that succession planning is in hand, with the bank expected to break with tradition and appoint an outsider to replace Mr Flint. Nevertheless the bank remained tight-lipped this morning about who will replace its chairman after announcing in March that the hunt had begun to find a successor. Last week, HSBC confirmed that it was hiring former London Stock Exchange boss Dame Clara Furse as the chairman of HSBC UK, its ring-fenced bank based in Birmingham.